Receive $100.00 in your member account when you refer a brand new member! Share your code on social media, via email or at tournaments in person. 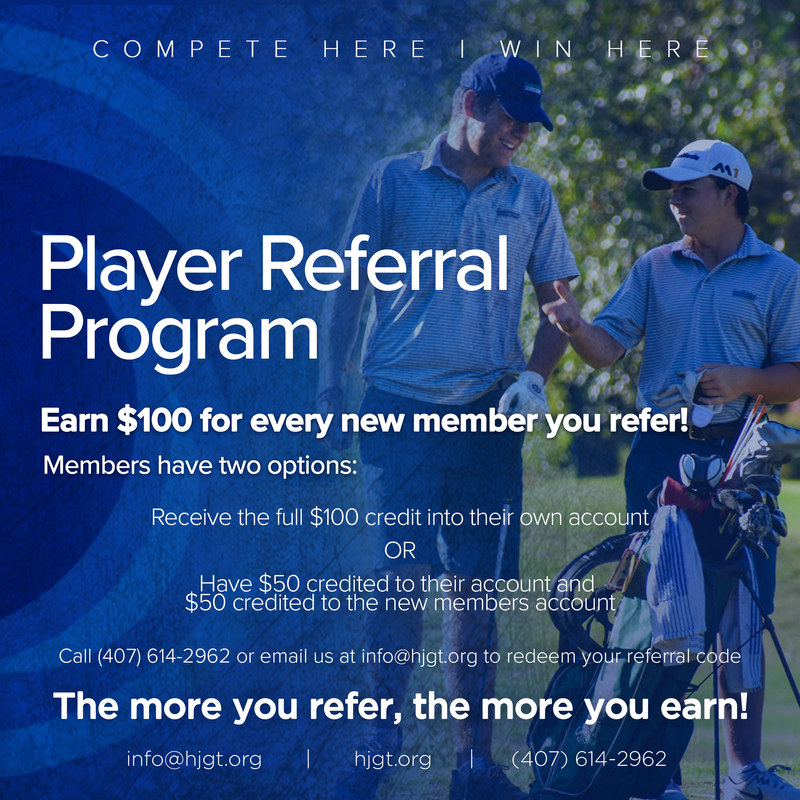 Call 407-614-2962 or email info@hjgt.org with any questions.